This is an IHRSA featured article, brought to you by Matrix Fitness. Everyone should have access to a health club. But some areas of the country in small and medium-sized markets are underserved with limited options in choice of fitness facilities. The economics of opening a club in a community with a low-density population just don’t make sense for many fitness entrepreneurs. The business is challenging enough without the added pressure of recruiting from a limited pool of prospects. Research-based analysis from the IHRSA Health Club Business Handbook says that four factors stand out when it comes to attracting new members to your club. Population density: preferable are markets of 60,000-100,000 plus people. Travel time: Competitive markets do best with no more than eight minutes of travel time for the primary market, 12 minutes for the secondary market to get to the club. Household income: When household income falls below $25,000, only 1 out of every 14 (7.2%) people is a health club member. Educational attainment: In general, the higher the educational attainment level of people in the community, the higher the overall market penetration rates of the clubs serving that market. Attracting more members in every community may become easier in the near future. The U.S. House of Representatives passed the PHIT (Personal Health Investment Today) Act on July 25, bringing this new tax initiative one step closer to becoming law. The PHIT act allows citizens to use pre-tax savings accounts to pay for gym memberships. This will be a definite boost to clubs in smaller markets or any economically challenged areas. It will also help during those inevitable market slowdowns. But with or without the PHIT incentive, how do health clubs find success in smaller communities? Health clubs had a great year in 2017, and mid-market and boutique clubs paved the way. In fact, the proliferation of studio clubs prove that niche concepts and smaller markets can be lucrative. One fast growing chain, Workout Anytime, is finding success far away from busy urban areas. 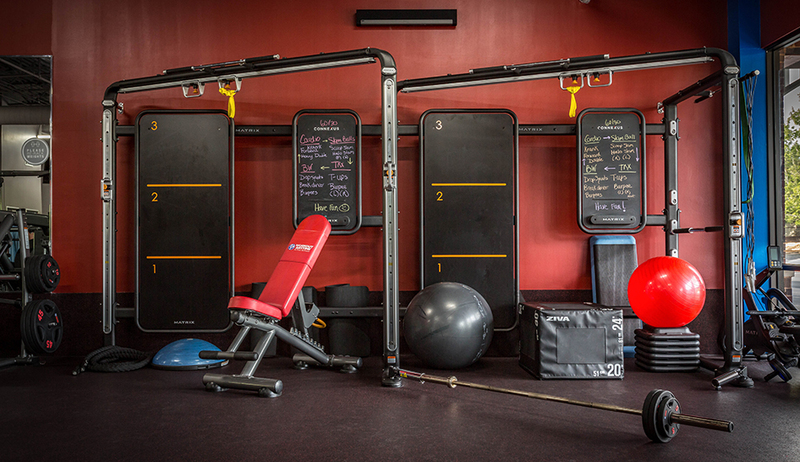 Workout Anytime has more than 170 locations, mostly in the Southeast region. The clubs average about 7,000 square feet in size (the largest is about 9,000 square feet), which gives them a more intimate, boutique feel. Workout Anytime also appeals to many first-time exercisers who may be intimidated by larger clubs. But after these new members get through the door, it’s Maurer’s job to make sure they stay. That means delivering a workout experience that gets results. Even in small and mid-sized markets, exercise trends are similar to more populated areas. According to the IHRSA Fitness Training Report, about 26.6% of health club consumers, which include member and non-member users, reported engaging in small group training (SGT) in 2016. Approximately 1 in 8 health club consumers used a personal trainer during the same year. Workout Anytime is expected to deliver similar types of SGT and fitness programming that’s in great demand in larger clubs in high-population areas. This presents unique challenges for smaller clubs with slimmer margins. If you have equipment that doesn’t match your programming, you’re going to have a mismatch that’s going to limit your ability to deliver personal training and SGT options. According to the IHRSA Health Club Business Handbook, equipment costs for a new club averages $17-$24 per square feet. That can add up to anywhere between $100,000-$200,000 for a club the size of a Workout Anytime. And that’s not taking programming into account. To stock their clubs, Workout Anytime turned to Matrix Fitness, one of the world’s premiere fitness brands. Matrix supplies some of the largest chains in the industry, and there comprehensive approach and dedication to service make them a perfect fit for Workout Anytime, says Maurer. The ability of Matrix to scale to any size with a comprehensive equipment and training package make them an ideal solution for smaller budget clubs that want the quality of a global brand with the dedicated service of a local supplier. 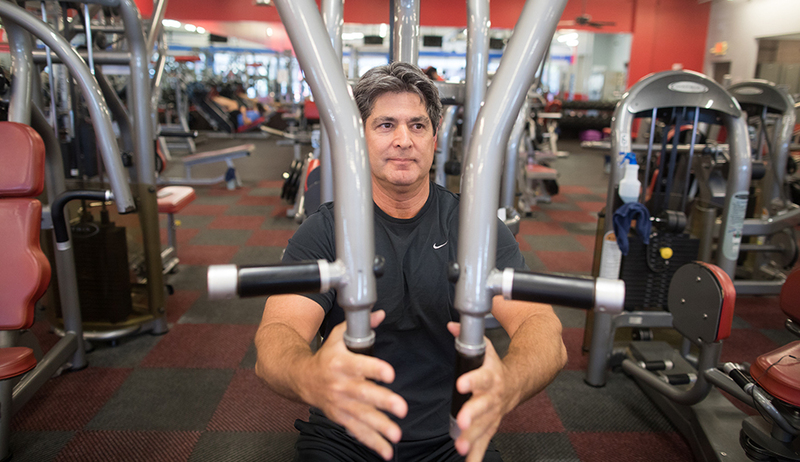 With so many first-time exercisers in gyms, Maurer says that the ease of use of Matrix equipment is another reason they’re a great fit for his clubs. To learn more about Matrix, visit their website or email them at info@matrixfitness.com. To learn more about their programming options, check out the IHRSA webinar “Maximizing Your Health Club’s Programming Mix,” presented by Matrix Fitness. With more than 500 commercial products, Matrix Fitness accounts for 67% of Johnson Health Tech's total revenues. JHT CMO Mark Zabel weighs in on Matrix's impressive growth.